In 2013 at the forthcoming annual Salon of Haute Horlogerie SIHH 2013, January, in Geneva watch company Roger Dubuis will present the Excalibur Table Ronde, a watch dedicated to the famous 'Round Table'. 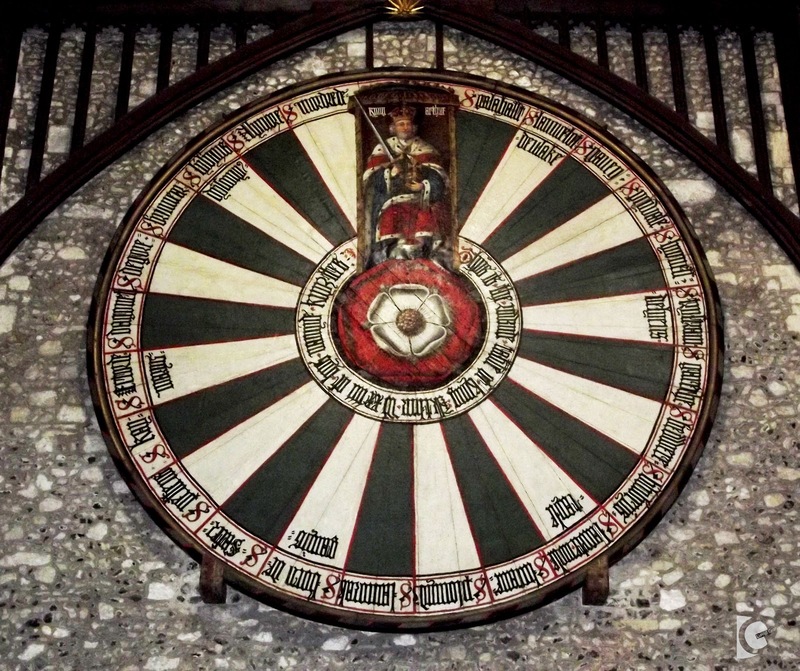 The watch dial is created by analogy with the picture of Winchester Round Table (Winchester Round Table), written in 1552. 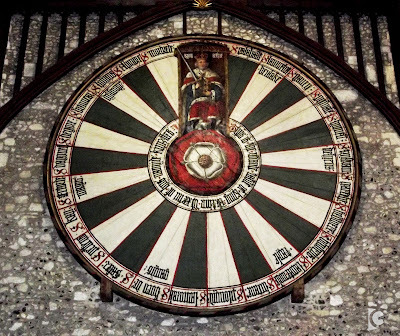 On an enamel disc shows a round table of King Arthur and the Tudor rose and diverging from the contrasting stripes. 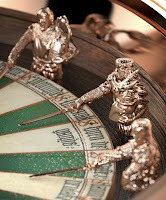 The watch noticeable features 12 of King Arthur's knights, all in solid gold and representing the hour markers. 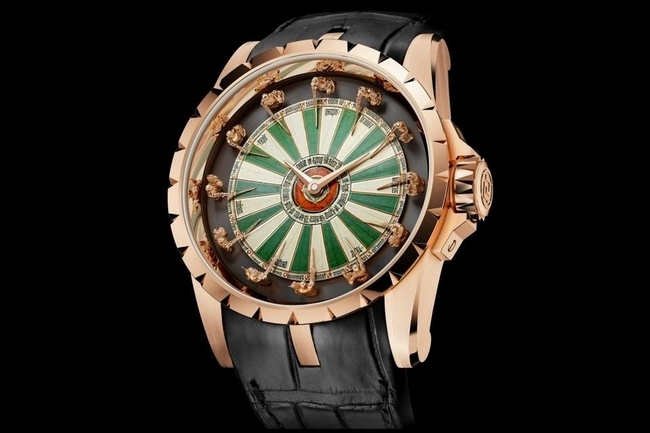 Powered by an in-house made caliber RD822 automatic movement it is presented on a crocodile lather strap with a 45mm gold case. The watch will be limited to 88 pieces.